The shortage of affordable housing in the U.S. has left 65 percent of extremely low income (ELI) households unable to stay within their budget. Meanwhile, the supply of affordable housing for area median income (AMI) households barely keeps up with the demand, according to the National Low Income Housing Coalition. 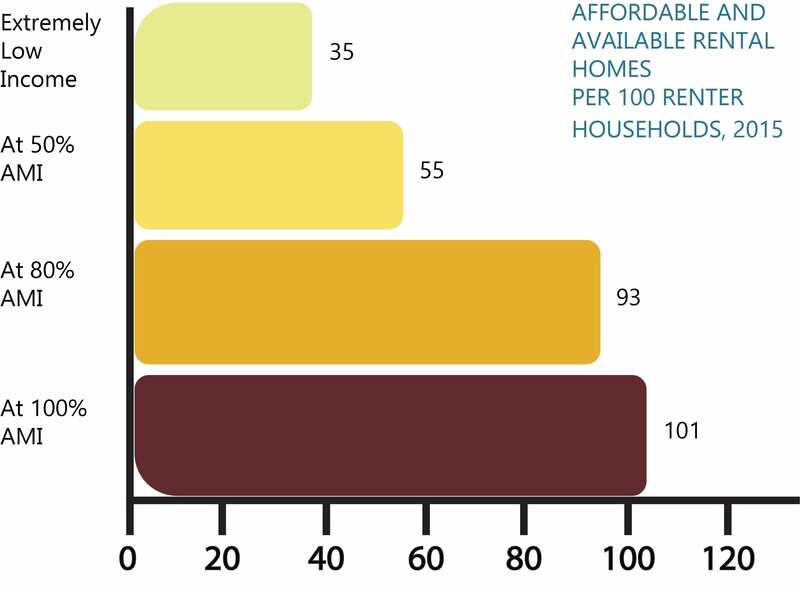 Households in Georgia ranging from AMI to ELI would benefit from additional affordable housing, but such projects have been met with opposition in nearby communities. Why It’s Newsworthy: Affordable housing projects are being rejected in nearby communities. Affordable housing will receive close attention in Athens, especially after the election of a new mayor who wants to install a new housing plan. Jeremy Field, a graduate of Georgia Southern University with a bachelor’s degree in construction management, said he’s recently seen opposition to affordable housing. Field is also the building science manager for Imery Group. Opportunities for affordable housing have risen in Georgia, but have been rejected by communities in middle and north Georgia according to Field. “In both middle Georgia (Centerville) and north of Athens in the city of Jefferson, a developer bought land and introduced an affordable housing project,” Field said. Lack of pay and policy are often connected to the lack of affordable housing according to the Athens-Clarke County workforce housing study, but in the case of these two Georgia neighborhoods the people were the obstacle. “The locals did not want affordable housing projects in their neighborhoods,” Field said. The minutes from a council work session in Centerville, Ga., on April 17, 2018 shed more light on opposition to affordable housing from members of the community. “Judy Weatherford spoke about a rental property that she owns in another location close to affordable housing. She said she is having issues renting the home due to low income housing. She also stated that this project would have a negative impact on the school system due to overcrowding. Field said he understands the residents not wanting to see their neighborhood change, but reiterated the need for affordable housing not only in Georgia, but in the U.S. as a whole. Andrew Carswell, is a University of Georgia professor who has a doctorate in urban affairs and public policy and specializes in residential property management, home ownership, mortgage options and mortgage fraud. Carswell said a barrier to affordable housing and housing in general is due to policy. “Most Georgia laws favor the homeowners association (HOA) when it comes proposing new housing projects,” Carswell said. Field also said the houses that do get built don’t always turn out for the best. People in the market for affordable housing aren’t the only ones looking to cut costs. “One of the biggest issues I see with new construction is the lack of quality. Everything is close on budget and people are maximizing profits from a business standpoint,” Field said. Carswell said building affordable homes is quite often not a lucrative success, which makes the profit margins for companies dedicated to affordable housing thin, but Carswell suggested that profits are not the only driving force behind creating more affordable housing. Field said time plays a factor in how much homes cost as well. “When it comes down to people setting budgets at one time, materials change and costs increase leaving potential homeowners with a small margin,” he said. Cutting costs can also affect the quality of a home. “They [Builders] tend to want to cut some corners and do some things that maybe shouldn’t be done in order to make their projects profitable,” Field said. According to the National Low Income Housing Coalition, bad budgeting isn’t always to blame. NLIHC’s study said the shortage of affordable and available homes forces many lower income households spend more on housing than they can afford without sacrificing other necessities. Field, along with Imery Group, are trying to counteract issues caused by cutting costs by providing improvements such as durability, health, energy efficiency and comfort in the homes they build and renovate. They also work closely with the housing organizations RESNET and BPI to improve the quality of their projects. While price, pay and policy drive the housing market, Field said personalities are one of the biggest challenges. “Certainly the bureaucratic issues are always going to be a challenge, but the personalities of owners, trade contractors, and all involved in the project will be the biggest challenge. It’s not easily overcome, but there are many ways that one can alleviate these challenges,” Field said. Trevon Johnson is a senior majoring in journalism in the Grady College of Journalism and Mass Communication at the University of Georgia.